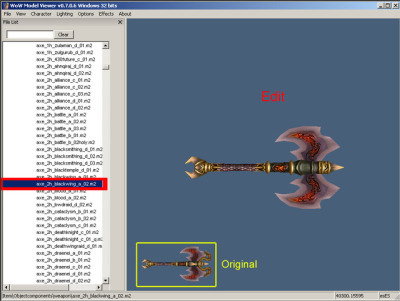 In that case modelviewer could read that model, but game client would had a problem. @yopel2 Your screenshots are broken, please, reupload them. 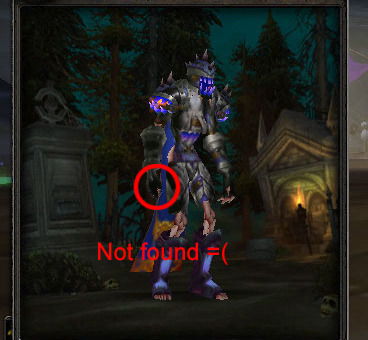 Btw, we need to know how exactly you trying to convert your models into wow file formats. On my side are screens ok.
Well, i'm definitely not expert on 3D editing, but I think that exactly that guide is the issue. Amaroth IMHO develop and make tutorials only for 3.3.5. By my opinion, u solve your problem with converting Wotlk M2 to Cataclysm M2. Maybe it's done a tool for it, maybe u have to do it by 010 editor and M2 template. U can test it by comparing the M2 data in 010 editor with M2 template. Open the new one, open the original one and compare. I was doing it a long time ago (few years), but i'm sure, that M2 have some version cell, u should see. That version cell is propably overwrited by ObjToM2.exe to Wotlk value, which is wrong.